The global population is growing fast and by 2050 it is expected to exceed 9 billion. The agriculture industry needs to produce more food to meet the needs of a bigger population. But land and water resources are finite. The good news? The Internet of Things (IoT) presents a massive opportunity to make this task easier. Bosch Australia customer The Yield knew how to revolutionize the way growers operate. First, it developed an IoT system to reduce the impact of costly oyster harvest closures in the aquaculture. Connecting oyster farms with Bosch IoT device management software decreased unnecessary harvest closures by 30 per cent. As a result, this could save Australian oyster growers an estimated AUD $21 million a year. Following this success, the AgTech company extended IoT from aquaculture to agriculture. In October 2017 it launched Sensing+™ for Agriculture, a tailor-made solution for irrigated crops: from apples and wine grapes to carrots, potatoes and leafy greens. In this case, The Yield is hosting back-end architecture on the cloud for greater flexibility and ease of use. With a new generation of younger farmers taking the reins, agriculture businesses want smart systems to improve produce management. The Yield gives them an IoT technology to observe complex physical environments, relieving the burden of daily crop checks. Usually, when you manage a farm, you are never off the clock. Even when farmers aren’t physically outside tending to crops, they are observing weather patterns, obsessively checking for signs of frost or damage and calculating the best time to protect, feed or water. The new microclimate sensing system makes these mental gymnastics a thing of the past by combining real-time microclimate data with powerful analytics and forecasting. This allows farmers to remove the guesswork and start making decisions based on real data. Sensor nodes that collect data from the sensors. These are solar-powered and use the long-range and mesh network communication protocol 6LowPAN. A central on-farm gateway which communicates with the sensor nodes. Bosch IoT Gateway Software. This is the intelligence behind the gateway. Alongside other important functions, it establishes secure communication with the Bosch IoT Remote Manager. "The best thing about our collaboration with Bosch is that though it’s a large engineering and technology solution provider of global scale, it understands the pressures on a young, fast-moving start-up business. It is flexible and fast to respond." To successfully deploy and operate their IoT solution globally, it is crucial that The Yield included a device management platform. Therefore, they chose the Bosch IoT Remote Manager as a feature-rich solution to address device management throughout the whole device life cycle. It enables them to easily deploy, configure, monitor and update their gateways and sensors remotely. The Bosch IoT Remote Manager is available “as a service” in various cloud hosting environments including the Bosch IoT Cloud, Amazon Web Services, and SAP. The Yield microclimate sensing solution marks the first deployment of the Bosch IoT Remote Manager on Microsoft Azure, adding Microsoft cloud to the list. Such a variety of cloud options gives customers flexibility to deploy the Bosch device management tool all over the world to meet their particular preferences and local government requirements for hosting. "The Bosch team has been terrific in making sure that we hit our product milestones, and hit them on time." By combining the live microclimate data with artificial intelligence and predictive analytics, The Yield solution provides a 7-day forecast that tells growers all the information they need to know. How much rainfall did they receive? How much water will evaporate in the next day? When is the optimal time to water or protect their crops? There’s a reason that there’s an X-men character called Storm that can harness lightning, wind and rain to do her bidding. While no technology makes this sort of superpower possible (yet), the right data gives farmers the next best thing: they can prepare for what is coming. “If I can measure it, I can manage it”, says The Yield customer Matt Pooley, Viticulturist at Pooley Wines. Obviously, crops grow better and faster with the ideal amount of water. Having an accurate indication of how much water each field needs also reduces over spraying. One customer estimates that the system reduces water usage by up to 30 per cent. And in Australia, where months can pass without any rainfall and the population is currently experiencing the hottest start to Spring in history, this is more important than ever. Additionally, the water content of fresh produce like lettuce at the time of harvest determines how long it lasts on supermarket shelves. While regular maintenance is crucial for a successful yield of crops, responding quickly to weather changes is key to protecting them from damage. The Bosch IoT Remote Manager enabled The Yield to set up specific rules that notify farmers of critical events like frost. Rather than relying on weather apps that pull data from 50km away, and checking every few hours for signs of damage, farmers are notified when frost is an imminent problem. As a result, they can immediately take steps to protect crops from damage. This lets them eliminate costly ‘just in case’ measures that are rendered useless when the worst-case scenario doesn’t occur. 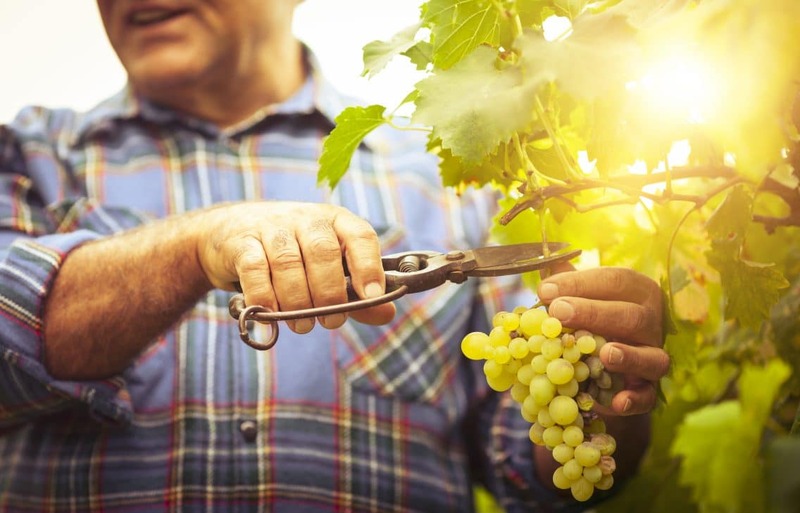 For many agricultural businesses, an IoT ecosystem is a brand-new way of approaching day-to-day operations. Armed with real-time data and the ability to instantly check the status of multiple crops or fields, the industry begins to transform the way it makes decisions. Ultimately, this means fewer crops lost, less water and produce wasted, and a greater yield. So, with the help of modern technologies, such as IoT, we have a better chance to feed the world. 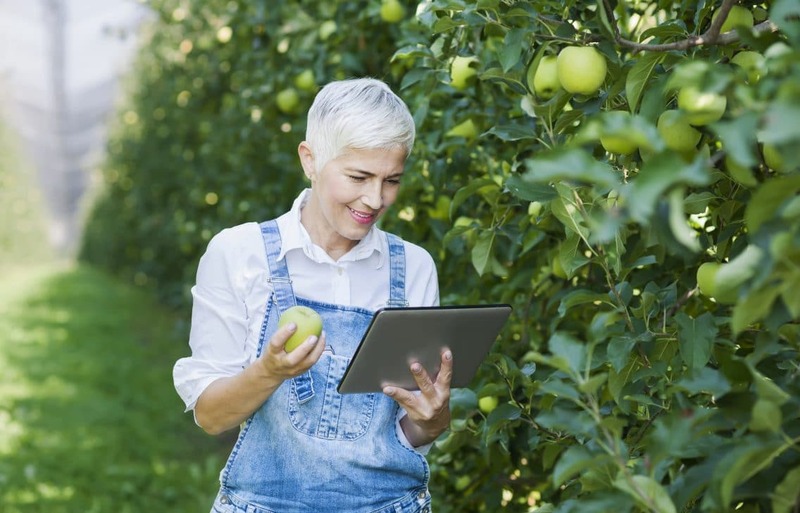 The post IoT in agriculture, from oysters to apples appeared first on Bosch ConnectedWorld Blog.